"If someone offered you a pill that would make you permanently happy, you would be well advised to run fast and run far. Emotion is a compass that tells us what to do, and a compass that is perpetually stuck on north is worthless." "The first circumstance which introduces evil, is that contrivance or economy of the animal creation, by which pains, as well as pleasures, are employed to excite all creatures to action, and make them vigilant in the great work of self-preservation. Now pleasure alone, in its various degrees, seems to human understanding sufficient for this purpose. All animals might be constantly in a state of enjoyment: but when urged by any of the necessities of nature, such as thirst, hunger, weariness; instead of pain, they might feel a diminution of pleasure, by which they might be prompted to seek that object which is necessary to their subsistence. Men pursue pleasure as eagerly as they avoid pain; at least they might have been so constituted. It seems, therefore, plainly possible to carry on the business of life without any pain. Why then is any animal ever rendered susceptible of such a sensation? If animals can be free from it an hour, they might enjoy a perpetual exemption from it [...]." Many millions of people in the contemporary world have a compass that is perpetually "stuck on South". They are always unhappy and discontented. They endure chronic pain and/or depression. Some victims of severe anhedonia can't even imagine what it's like to be happy. A minor blessing is that not all of their days are quite as terrible as others. So in one sense, their emotional compass can point North as well as South: a motivational system of sorts still functions. But the whole of their lives is spent in an Antarctic wasteland of misery and despair. At the other extreme, a small minority of people are blessed with a compass that seems perpetually "stuck on North". In pathological cases, they may be manic. But sometimes they are in varying degrees just "hyperthymic" i.e. the hedonic set-point around which their lives oscillate is unusually high compared to the Darwinian norm. Hyperthymic well-being is chronic; yet it's not uniform. Thus some days of hyperthymic life are even more wonderful than others; pursuing their favourite activities makes hyperthymics even happier than otherwise. So again, the hyperthymic emotional compass is bidirectional: its scale is different, but it works. The relevant contrast here lies in the way hyperthymics are animated by information-signalling gradients of well-being, whereas dysthymics, depressives and victims of chronic pain spend their lives struggling to minimise ill-being. Either way, affective gradients rule. "Normal" or so-called "euthymic" people are inclined to judge that hyperthymics/"optimists" view the world through rose-tinted spectacles. Their central information-processing system is systematically biased. Conversely, hyperthymics see the rest of us as unreasonably pessimistic. Chronic depressives, on the other hand, may view euthymic and hyperthymic people alike as deluded. Indeed victims of melancholic depression may feel the world itself is hateful and meaningless. For evolutionary reasons (cf. rank theory), a genetic predisposition to hyperthymia and euphoric unipolar mania are rarer than dysthymia or unipolar depression. Most of us fall somewhere in between these temperamental extremes, though the distribution is skewed to the southern end of the axis. Genetics plays a key role in determining our hedonic set-point, as does the ceaseless interplay between our genes and environmental stressors. Inadequate diet, imprudent drug use, and severe, chronic, uncontrolled stress can all reset an emotional thermostat at a lower level than its previous norm - though that norm may be surprisingly robust. Unlike recreational euphoriants, delayed-onset antidepressants may restore a lowered set-point to its former norm, or even elevate it. Antidepressants may act to reverse stress-induced hypertrophy of the basolateral amygdala and contrasting stress-induced dendritic atrophy in the hippocampus. Yet no mood-brightener currently licensed for depression reliably induces permanent bliss, whether information-signalling or constant, serene or manic. A genetically-determined ceiling stops our quality of life as a whole getting better. Is the future of mood and motivation in the universe destined to be an endless replay of life's evolutionary past? Are the same affective filters that were genetically adaptive for our hominid ancestors likely to be retained by our transhuman successors? Will superintelligent life-forms really opt to preserve the architecture of the primordial hedonic treadmill indefinitely? In each case, probably not, though it's controversial whether designer drugs, neuroelectrodes or gene therapies will make the biggest impact on recalibrating the pleasure-pain axis. In the long-run, perhaps germline genetic engineering will deliver the greatest global enhancement of emotional well-being. For a reproductive revolution of designer babies is imminent. Thanks to genomic medicine, tomorrow’s parents will be able to choose the genetic make-up and personality of their offspring. Critically, parents-to-be will be able to select the emotional dial-settings of their progeny rather than play genetic roulette. In deciding what kind of children to create, tomorrow's parents will (presumably) rarely opt for dysfunctional, depressive and malaise-ridden kids. Quite aside from the ethical implications of using old corrupt code, children who are temperamentally happy, loving and affectionate are far more enjoyable to bring up. The collective outcome of these individual parental genetic choices will be far-reaching. In the new era of advanced biotechnology and reproductive medicine, a combination of designer drugs, autosomal gene therapies and germline interventions may give rise to a civilisation inhabiting a state-space located further "north" emotionally than present-day humans can imagine or coherently describe. Gradients of heritable, lifelong bliss may eventually become ubiquitous. The worst post-human lows may be far richer than the most sublime of today's peak experiences. Less intuitively, our superwell descendants may be constitutionally smarter as well as happier than unenriched humans. Aided by synthetic enhancement technologies, fine-textured gradients of intense emotional well-being can play an information-signalling role at least as versatile and sophisticated as gradients of emotional ill-being or pain-sensations today. Simplistically, it may be said that posterity will be "permanently happy". However, this expression can be a bit misleading. Post-humans are unlikely to be either "blissed out" wireheads or soma-addled junkies. Instead, we may navigate by the gradients of a multi-dimensional compass that's designed - unlike its bug-ridden Darwinian predecessor - by intelligent agents for their own ends. In theory, there may ultimately be no need for any information-signalling dips in subjective well-being at all. This is because both the nasty and simply mediocre side of life could in principle be computationally offloaded onto our smart machines and neural prostheses. You need a compass only until you reach your destination; it is then redundant. However, the possible existence of a cosmic Ultima Thule whose attainment makes a compass eventually superfluous is mere conjecture. So too is the nature of life's interim motivational architecture over the next few billion years. Less ambitiously, for human beings to envisage the abolition of suffering, or even the advent of paradise-engineering, it's not necessary to assume that we'll become full-blown cyborgs, upload ourselves, or pursue any of the more exotic possibilities floated by transhumanists. Simply recalibrating the genetic dial-settings that regulate our basal hedonic tone will suffice. Of course a hypothetical motivation system based entirely on adaptive gradients of bliss still amounts to a major transition in the history of life in the universe. Its achievement would mark an ethical revolution without precedent. Much more technically challenging, and also more speculative, will be the genetic design of new emotions and the "re-encephalisation" of the old. Our natural information-signalling system evolved to serve the interests of selfish DNA. Hypothetical future information-processing systems may be dedicated to the interests of DNA's sentient vehicles instead. Such a revolution may never come to pass. Bioconservatives of all stripes disagree on principle with attempts to redesign human nature. They regard the abolition of suffering, and the prospect of radical hedonic enrichment, as romantic utopianism, at best. Secular bioconservatives believe that we should retain the same biologically predestined core emotions as our ancestors since time immemorial. Human life should continue to function around the same hedonic/dolorous "set point" that was fitness-enhancing in the ancestral environment of adaptation on the African savannah. Christian bioconservatives believe that we should preserve human nature because Man was created in God's image. If this is so, then the best that can be said is that we do not yet reflect very highly on God. Well-intentioned or otherwise, bioconservatism is a recipe for perpetuating a never-ending cycle of satanic pain and unhappiness. If Mother Nature really cared about us, then there might be a case for leaving well alone, as bioconservatives so desire. But ultimately such anthropomorphism is morally frivolous: it reflects a lack of any sense of moral urgency at the terrible hereditary propensity to suffering endemic to organic life - and the moral imperative to cure it by the only means possible, namely advanced biotechnology. Our primitive repertoire of emotions, and the dismal calibration of our hedonic treadmill, persists today only because they helped our genes leave more copies of themselves ["maximised their inclusive fitness"] when human life really was red-in-tooth-and-claw in the pre-modern era. Luckily, selection pressure in the coming age of "unnatural" selection will favour a suite of adaptations that's radically different from the nastier traits adaptive in our Darwinian past. For as we decommission natural selection, evolution will no longer be "blind" and "random". Tomorrow's prospective parents will be quasi-rational agents who can choose future genomes in anticipation of their likely behavioural consequences. A more benevolent but no less intense kind of selection pressure will be at work. This trend can only accelerate with the conquest of ageing over the next few centuries. As the Earth reaches its carrying capacity of quasi-immortals, reproduction will need to be meticulously planned. Post-human, post-Darwinian mental health late in the third millennium is likely to be far richer than its impoverished 21st century precursor. Indeed by the standards of our enlightened successors, perhaps malaise-ridden emotional primitives like us will be reckoned in the grip of a toxic affective psychosis. So if, fancifully, your guardian angel offers you a pill that would make you permanently happy, then perhaps you'd be crazy, in some sense, to say no. Alas the nature of affective psychosis precludes full insight into the condition. Thus one may hesitate to swallow the pill. Critics like Professor Gilbert are already on hand to warn that you'd be well advised to "run fast and run far" from the pushers of any permanent-happiness potion. Ironically, if you do succumb to a pleasure-pill pusher's wares, then as an incidental bonus to the promised lifelong bliss, you'll actually be able to run faster and farther in the direction of whatever you really care about than before. For greater well-being typically enhances motivation, will-power and the capacity to anticipate reward. Boosting mesocorticolimbic dopamine function also enhances the range of stimuli an organism finds rewarding. Counterintuitively, if hedonic enrichment is done wisely, then an emotional compass works better. Hedonic enrichment reverses the learned helplessness and monotonous behavioural despair blighting the lives of depressives - and their less severe, subclinical analogues in "normal" Darwinian humans. Enhanced well-being is empowering. It's potentially liberating from the biochemical shackles of the ancien régime. In principle, enhanced well-being can be profoundly compassionate and empathetic. Hedonic enrichment heightens a love of life and the urge to self-preservation: an outlook that contrasts with the nihilistic despair of major depression. In future, a heritably blissful mindset should prove genetically adaptive if the designer genes/allelic combinations that promote it prove attractive to prospective parents. Yet can an information-processing system that runs on gradients of lifelong bliss really sustain critical insight? In principle, at least, yes. The functional analogues of depressive realism can be sustained without the nasty textures of low mood. One snappy formulation sometimes used to define "information" is "a difference that makes a difference". On this basis, what's important in the context of the information-theoretic paradigm is not our absolute position on the pleasure-pain axis, but our differential sensitivity to emotionally-tagged variations in fitness-relevant stimuli. For the foreseeable future, an emotional compass will be needed to guide the psychologically superwell in everyday post-Darwinian Heaven, no less than in contemporary Darwinian purgatory. The binary coding scheme of a pleasure-pain axis is supremely economical for this navigational purpose. The difference in store for us is that shortly we'll be in a position to tame its cruelties by truncating the axis at the nasty end and vastly extending its reach at the other. An improved motivation system is not just technically feasible. Its hypothetical contours will be kinder to the end-user. Our navigational capabilities may be vastly improved too. Perhaps a fictional analogy isn't amiss here. To complement a notional permanent happiness pill, consider the offer of a pill that induces permanent hilarity. The latter pill isn't (quite) so fantastical as it sounds. In 1998, neuroscientists at the University of California medical school discovered what may be called a "humour centre" in the brain, despite unfortunate echoes of phrenology. The neural basis of humour apparently lies in a tiny region in the left supplementary motor area. If electrically stimulated, then the subject not merely laughs, but finds everything irresistibly funny - just as the wirehead from science fiction finds everything indiscriminately pleasurable. In principle, once the neurological signature of pure humour is identified, then its molecular substrates could be amplified beyond anything natural selection has engineered to date. The amplification might come via pills, neuroelectrodes or genetic modification. Fancifully, one could even imagine a re-engineered civilisation whose inhabitants, by their very nature, found everything hilariously funny. Now intuitively, people who find everything funny are incapable of critical discernment. They are promiscuously amused by slapstick farce and terrible puns no less than by sublime literary wit. So if one values one's sophisticated sense of humour, then one might not be tempted by the offer of a pill that would leave one amused indiscriminately - just as one might run fast and run far from the offer of a pill that left one indiscriminately happy. For one wants to act and respond to a changing environment appropriately - in some admittedly ill-defined sense of "appropriate". But if an advanced, humour-valuing society ever wanted to make life perennially amusing, and yet its members also sought to preserve critical discernment and the quest for ever richer sources of humour, then there is nothing to stop them retaining an information-signalling role of hilarity-gradients by simply recalibrating the neurological default-settings of their humour scale. Thus there might arise a post-human civilisation whose gravest concerns were subjectively more hilarious than our funniest moments of comedy. Of course, the above example is grotesque. It's not going to happen, even if it's a neurologically feasible option for test subjects in an experimental laboratory. Certainly, to generalise the possibility of biological humour-enhancement to a whole society is pure science fantasy - to the best of our knowledge, at any rate. Compared to the urgency of getting rid of suffering, abolishing humourlessness isn't even on our moral radar. Yet one shouldn't underestimate the versatility of a biologically well-designed compass. Today, sentient life on Earth runs an informational economy of mind driven by gradients of discontent. Tomorrow, we'll have the option of an informational economy of mind run on gradients of well-being. 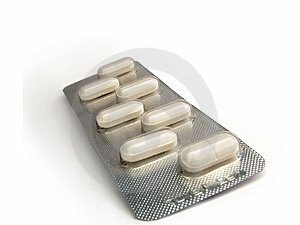 So is it wrong to swallow the pill?